During the school year, my teammate and I invite guest readers (parents, grandparents, family and community members) to read to the children on each Friday of the week. We use the website called SignUpGenius.com to have the guest reader sign up. The website is a free resource to help people to sign up for events. It is very easy and organized; my favorite feature is that if a speaker signed up, the website will send out a reminder email for the event so you don’t have to. The guest readers are told that they may pick the book they want to read for the classroom, it could be a childhood favorite or new and popular read. 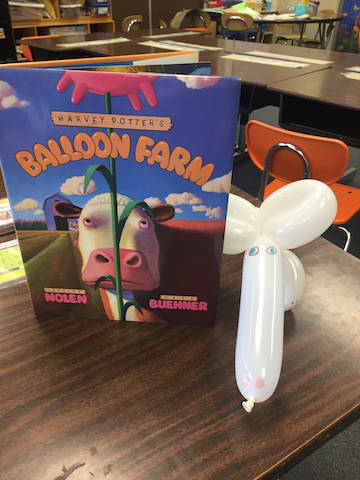 On the last day of school this year, I had a parent come and read the book, Balloon Farm. It was just a good read aloud. She even took the time to learn and make 30+ balloon animals and bring them in for the students. It was AWESOME! !